Will the sea swallow Houston? That was the question Erica Goranson and I answered in our Houston Ark competition entry from last year. Erica and I were having some fun creating some architectural science fiction based on a frighteningly real potential future scenario. 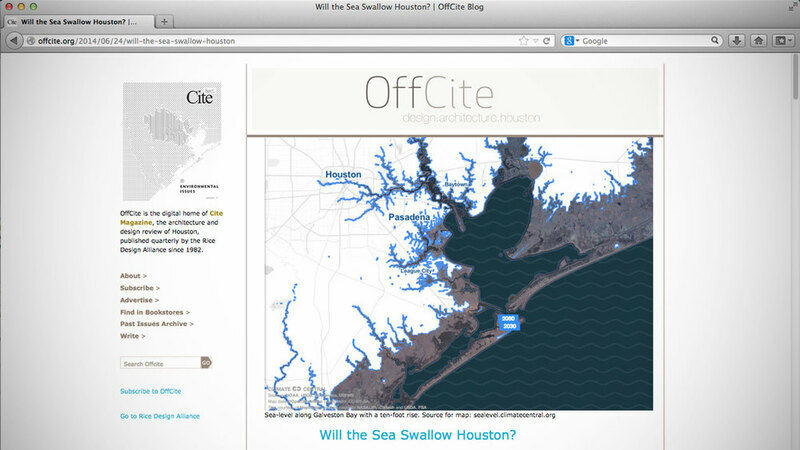 At any rate, we recently saw that Raj Mankad, editor of Cite Magazine referenced the entry as a way of introducing an essay on how rising sea levels will impact Houston. We were thrilled to see our work used to introduce more serious scholarship on the topic. 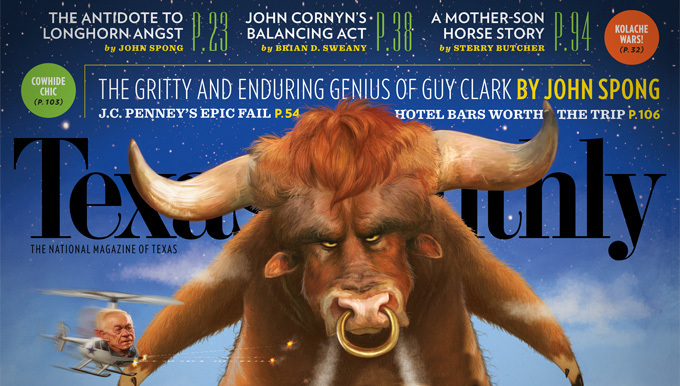 HiWorks Project Featured In "Texas Monthly"
It's especially cool to share space in a magazine next to Guy Clark. A few months a go my good friend (and former Lake|Flato colleague) Erica Goranson and I heard of a competition sponsored by The Architect's Newspaper to repurpose the now-abandoned Houston Astrodome. 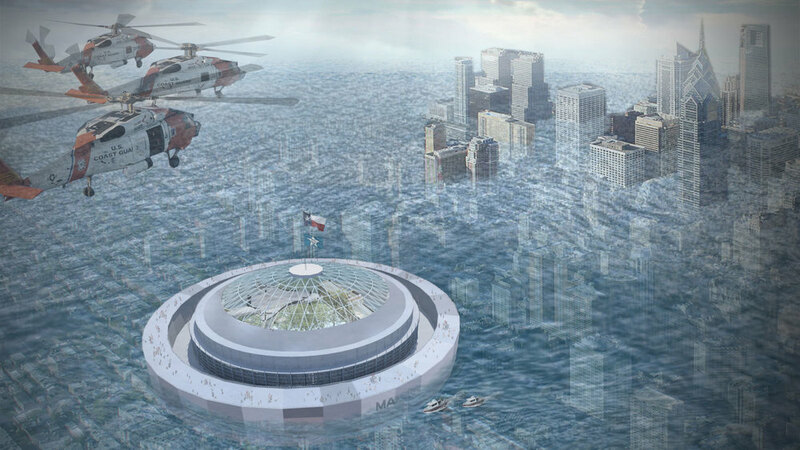 We developed a concept where a hull structure would be built under the existing structure to create a seaworthy vessel capable of protecting and transporting the accumulated cultural resources of the city of Houston in a future scenario where rising sea levels required the costal city to be abandoned. We won second place. A recently rejected bond initiative that would have funded renovations to the structure means that the eighth wonder of the world will most likely be demolished, eliminating the possibility of our future scenario.